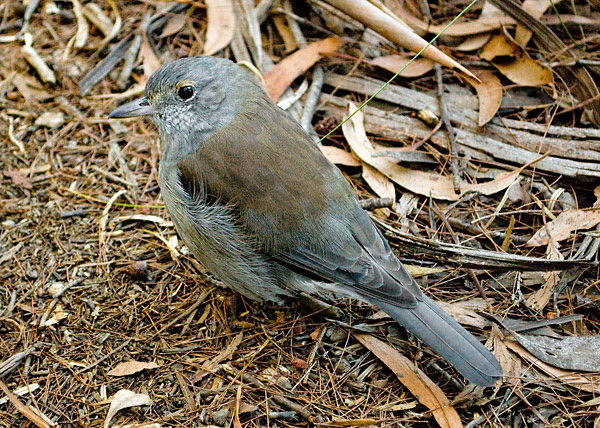 The Grey Shrike-thrush is best known for its lovely song. Birdwatchers call this bird the "GST". 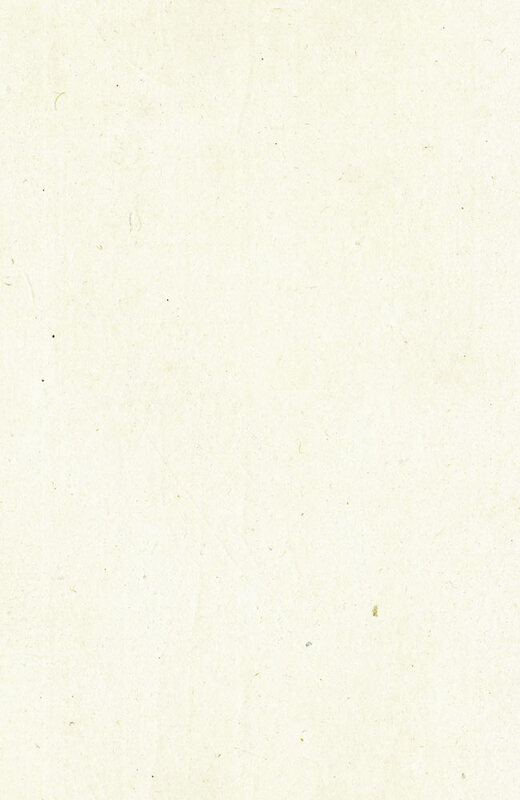 NEW: Field Guide to Australian Birds, by Michael Morcombe. 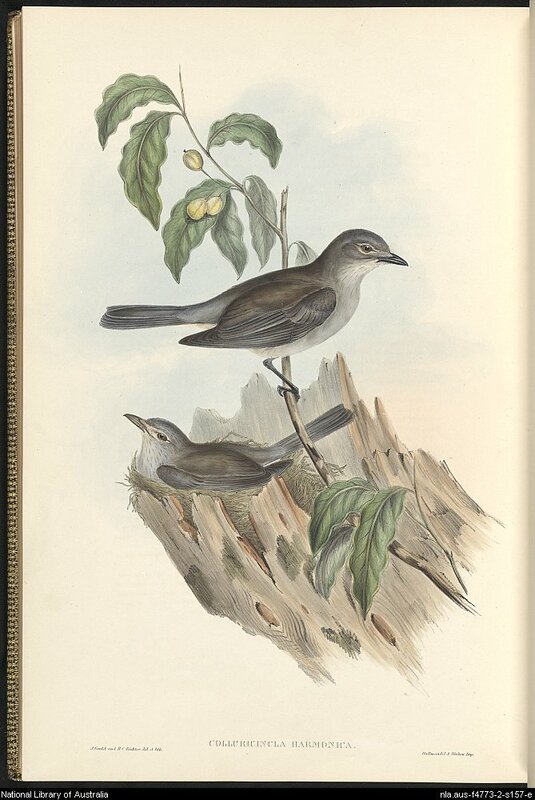 This one has colour drawings of the eggs and the nests which not many other field guides do (I can't think of any that do). It's an excellent field guide and one of the four main ones (the other three being above this one). The weakness of this field guide is that some of the pictures of the birds aren't as good (or accurate) as the other three most used field guides. It's also the heaviest though there is a pocket edition which is much smaller and lighter. 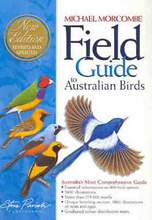 Slater Field Guide to Australian Birds, Peter Slater, Pat Slater and Raoul Slater. This is a smaller field guide, and its advantage is it is easy to carry around. Its size is 21.3 x 11.4 x 2.8 centimetres, or 8.4 x 4.5 x 1.1 inches in the old scale. So it is a good one to get if you want to have your field guide with you out in the field. 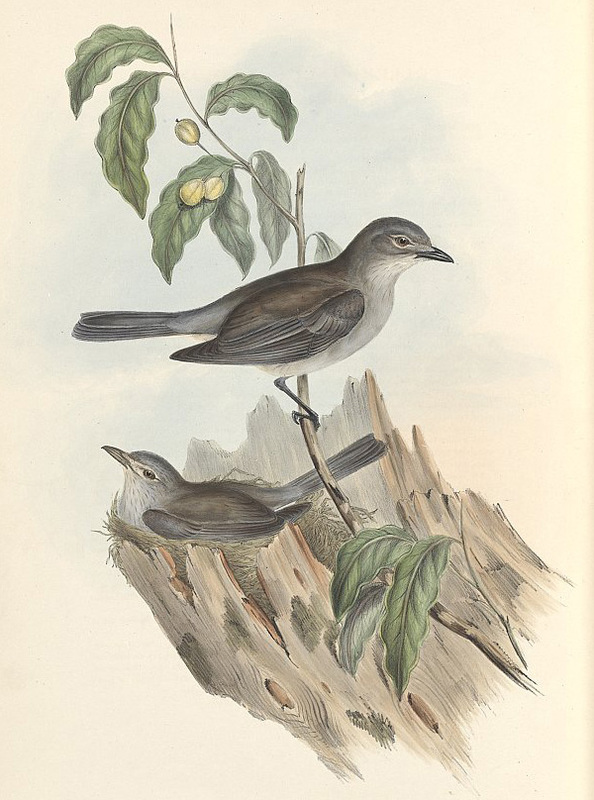 Unlike most of the field guides it also has illustrations of the eggs of all the birds that breed in Australia. It has very good reviews on Amazon. Click here to purchase from Australia (Fishpond) May be expensive.